Wowza! Monarch Carpet, Drapery & Upholstery has been in business for over 80 years – 82, to be exact. During that time, we have been serving people just like you, and always providing high quality flooring. We have tackled thousands of projects in commercial and residential spaces, and the vast majority of the time, our clients have been absolutely thrilled with our services and their new flooring (it’s impossible to please absolutely everyone). If you’re thinking about upgrading the flooring in a room, your whole home, or a commercial space, relying on Monarch Carpet, Drapery & Upholstery is a very wise choice. We are Southern California’s most trusted, most experienced flooring experts. You’ll always be in good hands with us! Perhaps this is your first time upgrading the flooring in your home or commercial building. If that’s the case, you may feel unsure about how to start. Plenty of people start googling options and start to feel overwhelmed. Don’t let that happen to you! Just contact Monarch Carpet, Drapery & Upholstery and you’ll be able to relax as we walk you through the flooring selection process from start to finish, offering advice and recommendations along the way so you can always feel confident making well-informed decisions. You can give us a call at (877) 766-6272 to schedule an in-home consultation or come to our showroom, which is conveniently located at 3007 West Temple Street Los Angeles, CA 90026. Business hours are Monday–Friday 7:00am to 5:00pm. Scheduling an in-home consultation is a wise choice. We’ll send one of our flooring experts to your property to take some measurements, ask you some questions, share some options with you, and give you a free estimate for your flooring upgrade. In the meantime, feel free to browse some Room Ideas which have been carefully curated by our experts to bring out the best in every room in your home. When you come to Monarch Carpet, Drapery & Upholstery, you’ll feel like you have entered a flooring paradise – which you have! 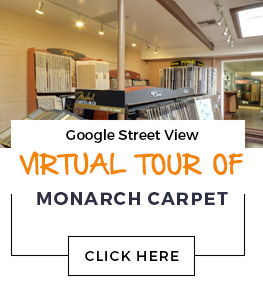 At Monarch Carpet, Drapery & Upholstery, we have plenty of flooring samples for you to touch and feel, and our staff is always on-hand to answer any questions you may have and always offer advice without pressuring you at all. You can get a free design consultation at our showroom as well, and take home some samples to see how they look in your space. We look forward to meeting you and helping make your new flooring vision a reality! We promise that you’re going to love your new flooring from Monarch Carpet, Drapery & Upholstery! We only sell and professionally install high quality flooring, and always guarantee your complete satisfaction. Contact us today to get started!